Vampire Vape have been selling e-liquids since 2012 and have since become one of the UK’s best known e-liquid brands. Most famous for their 10ml range, Vampire Vapes have recently branched out into short-fills (Vampire Vape Shortz) and nicotine shots as well as expanding their 10ml range. 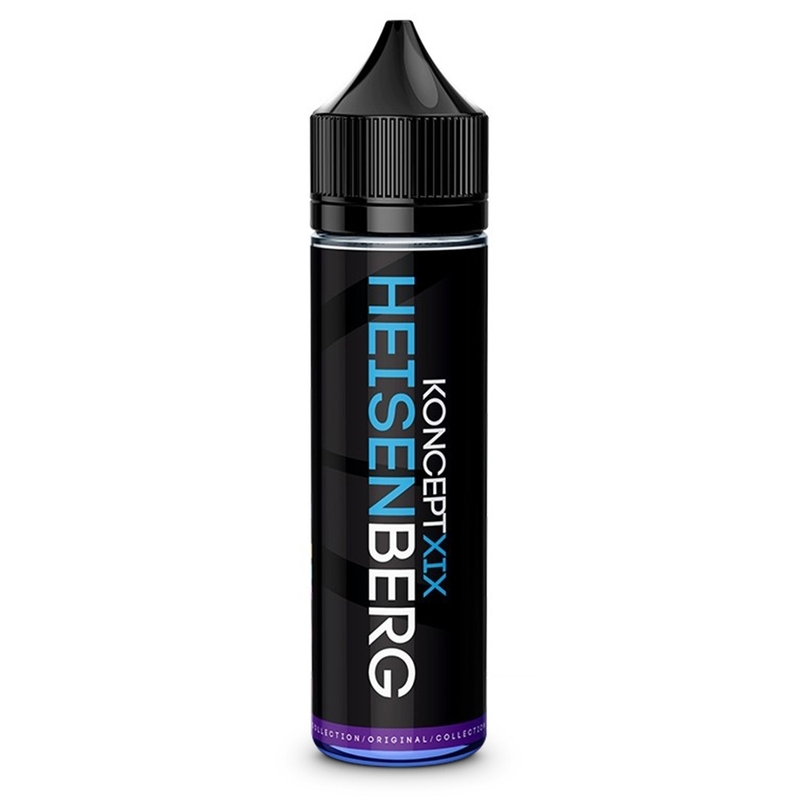 This range includes Vampire Vape’s best known flavours: Heisenburg, which combines fruit and menthol, and Pinkman. New flavours recently released also include Arctic Fruit, which marries tangy wild fruit and aniseed with an article menthol blast, and Caramel Crunch, a super sweet combination of caramel and butterscotch toffee. 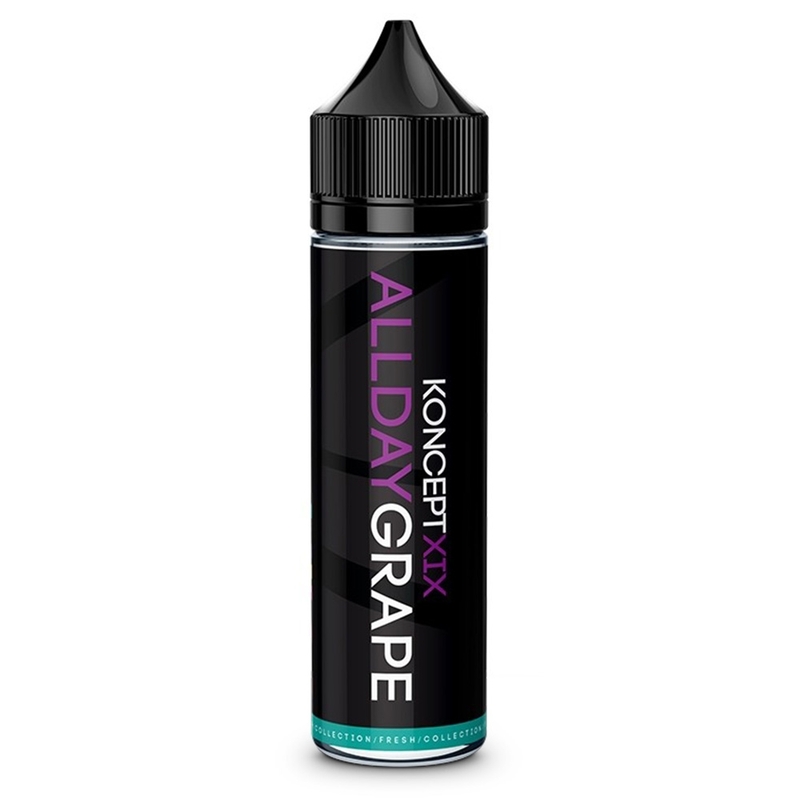 The 10ml range comes in a range of VG:PG ratios. For lower powered devices and mouth-to-lung vaping choose a higher PG ratio such as VG:PG 50:50 - for larger clouds and airier vaping it’s best to go for a higher VG ratio. 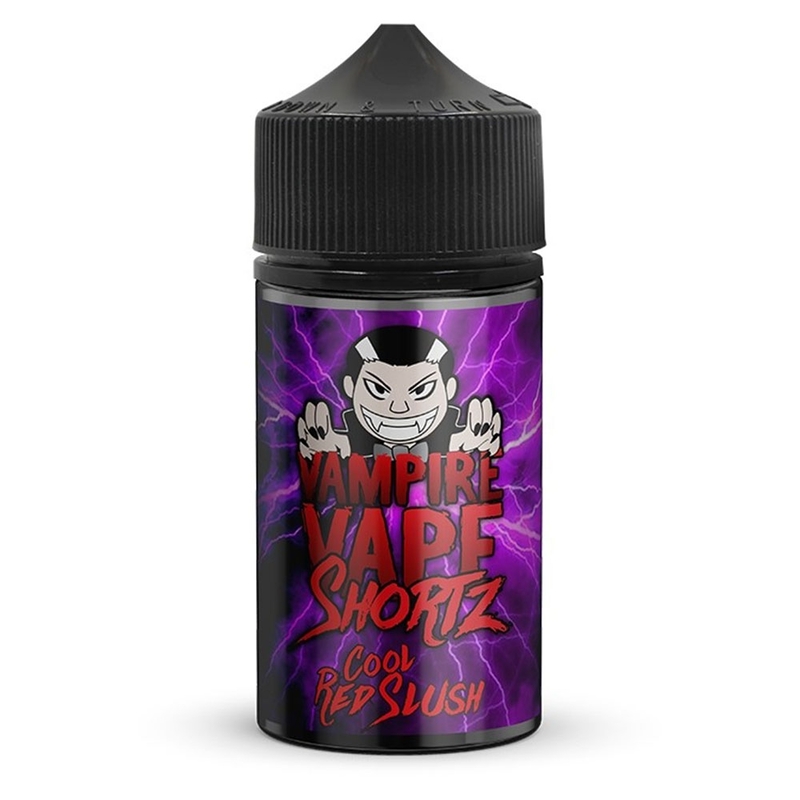 Vampire Vape’s shortfill range, Shortz offer larger bottles of e-liquid. 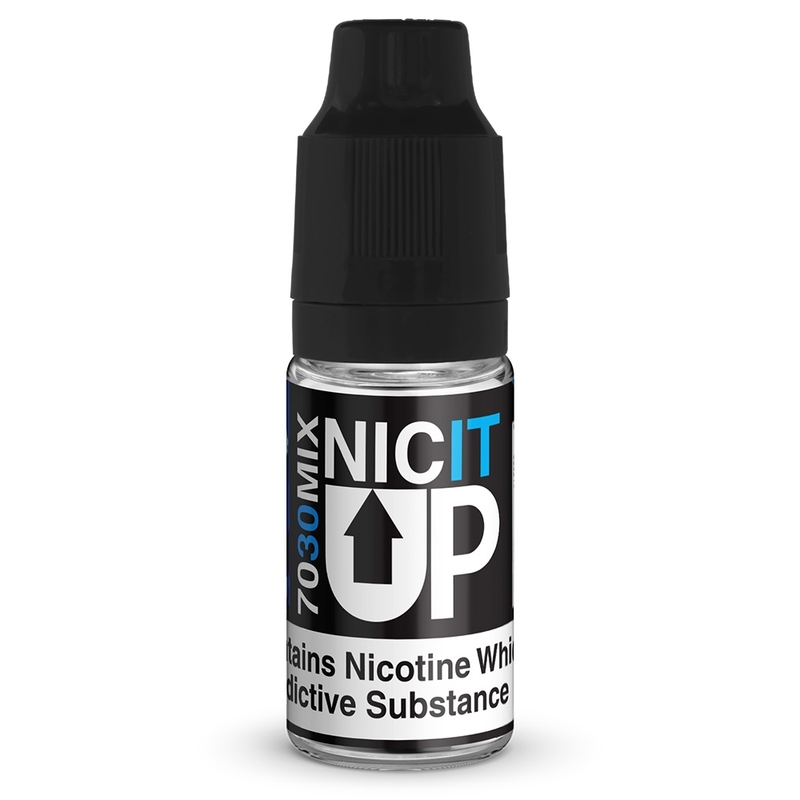 Each bottle contains 50ml of nicotine-free e-liquid, with space to add a 10ml nicotine shot. These come with VG:PG ratios of 70:30, making them ideal for vapers with more powerful tanks who prefer a direct to lung vape and larger clouds of vapour. Flavour include Blue Cocktail, which contains a medley of different fruit flavours followed by an aftertaste of strawberry, and the more unusual Rhubarb and Ginger. Nicotine shots are great for people who prefer higher nicotine levels but don’t like a harsh hit on the back of the throat. 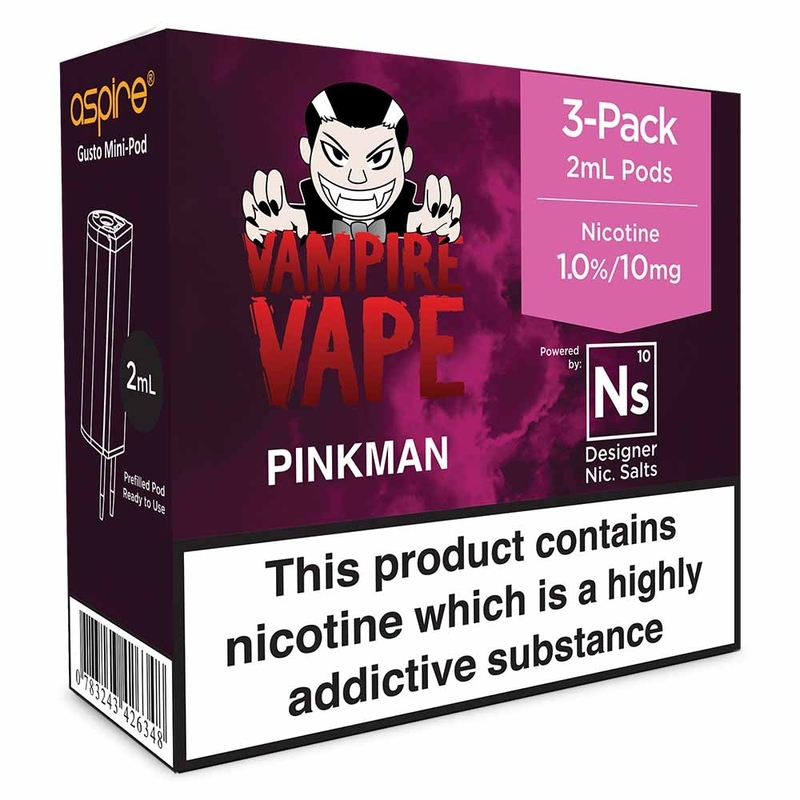 Here you’ll find Vampire Vape’s most popular flavours designed for nicotine salts lovers, including Pinkman - we’re sure there’ll be more on the way! The NS20 pods are designed for use with the Aspire Mini Gusto pod system. 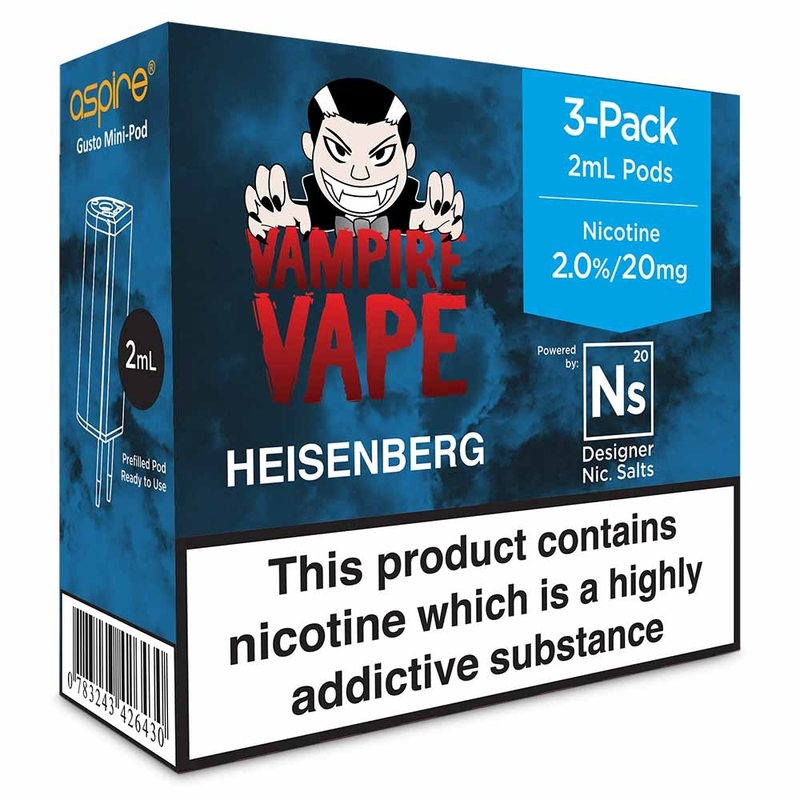 Again, Vampire Vape have introduced their most popular flavours so that Mini Gusto users can get a taste for Vampire Vape without having to invest in a new vape system. Finally, Vampire Vape produce their own nicotine shot. Coming with a VG:PG ratio of 70:30 and 18mg (1.8%) nicotine, this allows vapers to add nicotine to nicotine-free e-liquids. Please note that nicotine shots are flavourless and are designed for vaping on their own.